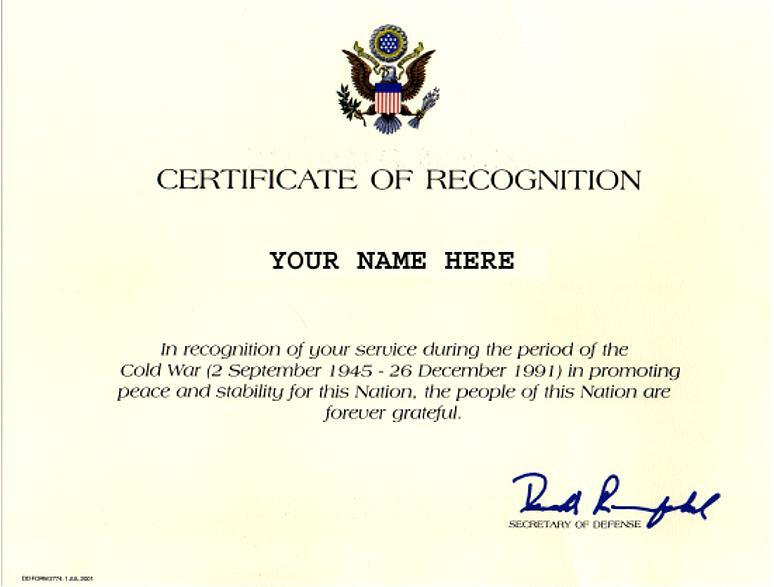 I got my Certificate of Recognition from Donald Rumsfeld himself. For my small part in stopping the heathen communist hordes! It ain't much but looks pretty cool up there on the old "Ego Wall" with my college diploma and other stuff. Check out http://coldwar.army.mil/ . You will have to send them a copy of your DD214 and after about ten years (not really it just feels like it) you get your very own certificate. Or you can fax it to 1-800-723-9262. Pass it on to any other veterans that you know.